"Cerita Anak (Child's Story)" to Pitch Once More! 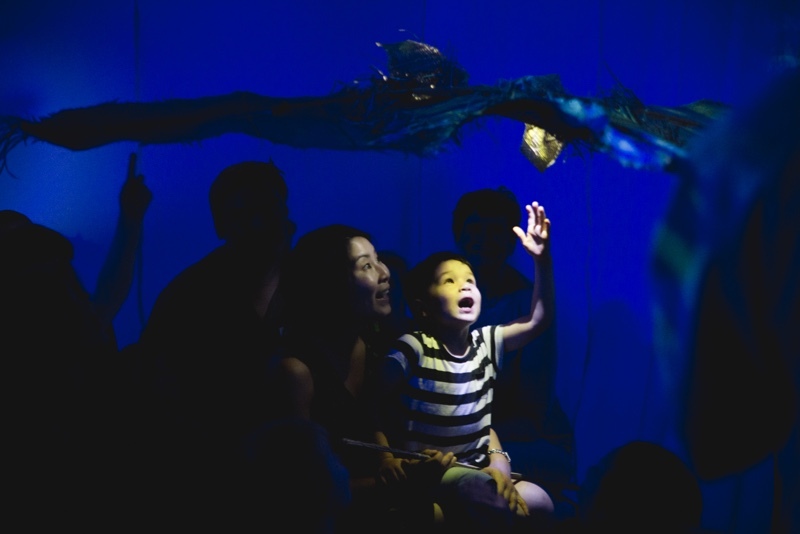 Today, we’re highlighting Ceritak Anak (Child’s Story) co-created by Polyglot Theatre and Papermoon Puppet Theatre which was shared with us at the New York 2018 ISPA Congress. The work draws its inspiration from the seafaring history in Java and a small boy's true tale of arrival in Australia. Combining puppetry, song, shadow imagery and sound, the show bustles with all the life of the ocean. Audience members, both young and old, are passengers and storytellers on this exquisite adventure. “It was a huge thrill to be selected to pitch Polyglot Theatre and Papermoon Puppet Theatre’s production of Cerita Anak (Child’s Story) at the NYC Congress this year, particularly as it’s reasonably rare for Theatre for Young Audiences to feature in Pitch New Works. It was a terrifying and exciting experience, and it was wonderful to have many conversations afterwards with delegates who were keen to discuss the work. A lot has happened for the production since January! The work was presented by the Perth International Arts Festival and toured to Jogjakarta as a special event of ArtJOG, the important contemporary art fair. With a proven track record for success. ISPA's Pitch New Works program continues to assist works in development with securing touring dates, regional agents, co-commissions, premiere, and more.